Mobizen is a fast and free app that expands your Android experience to the web browser and desktop. Your Android, Anywhere. Use your Android phone from a web browser or desktop. Control your Android as you always have. Mobizen's intuitive design allows you to control your Android as if it were in your hands. Tapping, swiping, or dragging with your mouse has never been easier. The best of mobile and desktop experiences have been combined into one with Mobizen. Easy-to-use buttons allow you to record actions and save screenshots of mobile game play. Record everything on your Android. Mobizen enables capturing screen shots and recording videos in real-time without rooting your Android. Easily share new videos and images on YouTube, Facebook and more. Connect from either a browser or PC application. Use either a web browser or PC application to continue using mobile apps and accessing multimedia content. Infinitely expand your Android experience with Mobizen. 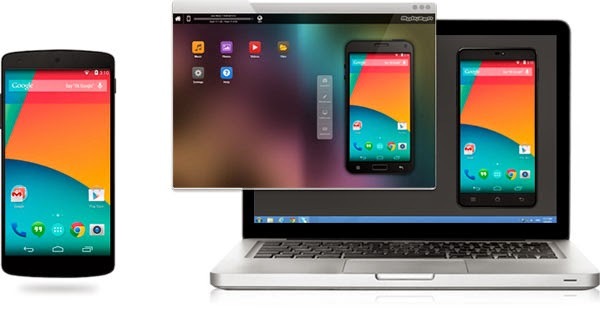 Using your Android smartphone from your PC becomes a reality with Mobizen. Mobizen instantly streams your media. Using your smartphone has never been more convenient. Type using your keyboard, view photos and videos stored on your phone and use mobile apps. Share those special moments on a larger screen. The songs you listen to on-the-go can be enjoyed anywhere. Easily access your call logs from your PC and Click to Call. Use drag and drop to transfer files between your smartphone and computer. Watch videos and movies stored on your smartphone. + Share those special moments on a larger screen. + The songs you listen to on-the-go can be enjoyed anywhere. + Easily access your call logs from your PC and Click to Call. + Use drag and drop to transfer files between your smartphone and computer. + Watch videos and movies stored on your smartphone.